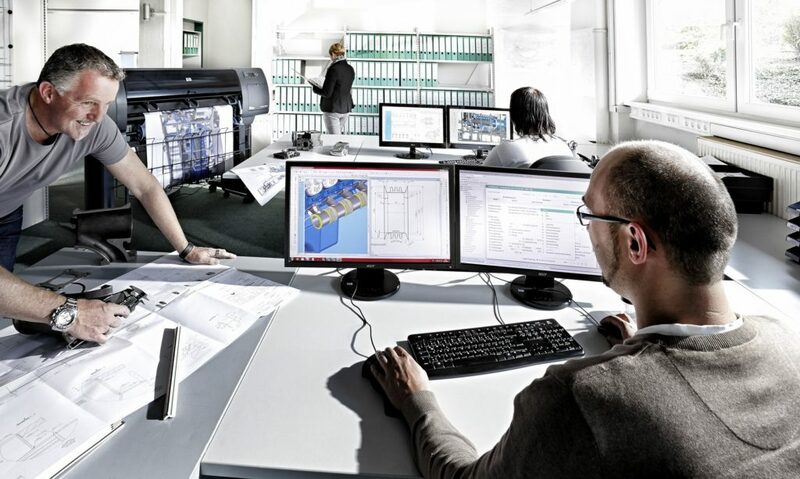 R Schmitt Enertec has more than 20 years experience in the construction of gas engines. As early as 1996, the first in-house produced 8-cylinder engine was installed on a wastewater treatment plant in Germany, where it performed more than 100,000 operating hours until it was decommissioned in 2013. Today’s ENERGIN gas engine generation is based on continuous development by our R&D department. 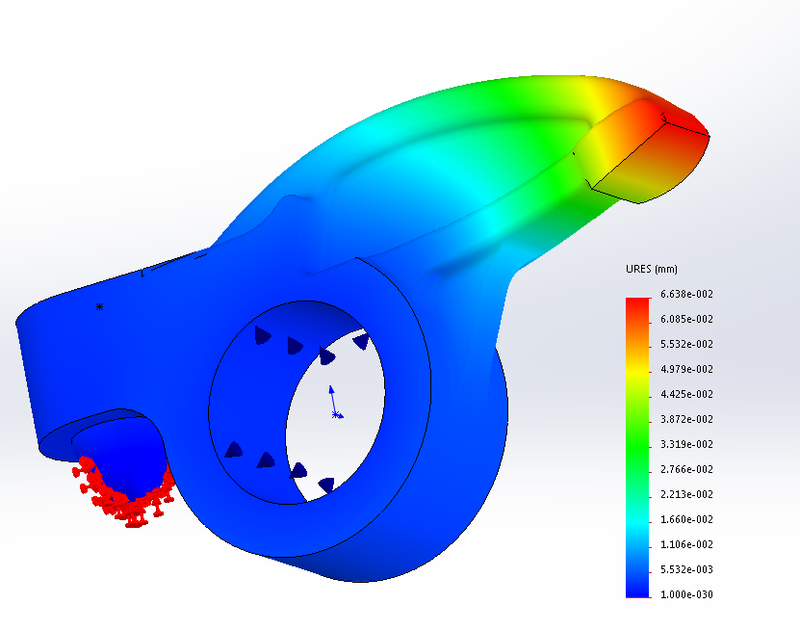 A team of experienced mechanical and software engineers closely works together on the optimization and expansion of our engine series. For the current engine series, 40% of the engine components were redesigned in close cooperation with suppliers and in-house production. Because our engines are designed for stationary use only, unlike other mass-producers, we did not have to compromise to make the engines base also work as Diesel Engine in trucks. Rather, we focus our optimization on permanently safe operation with gaseous fuels only. 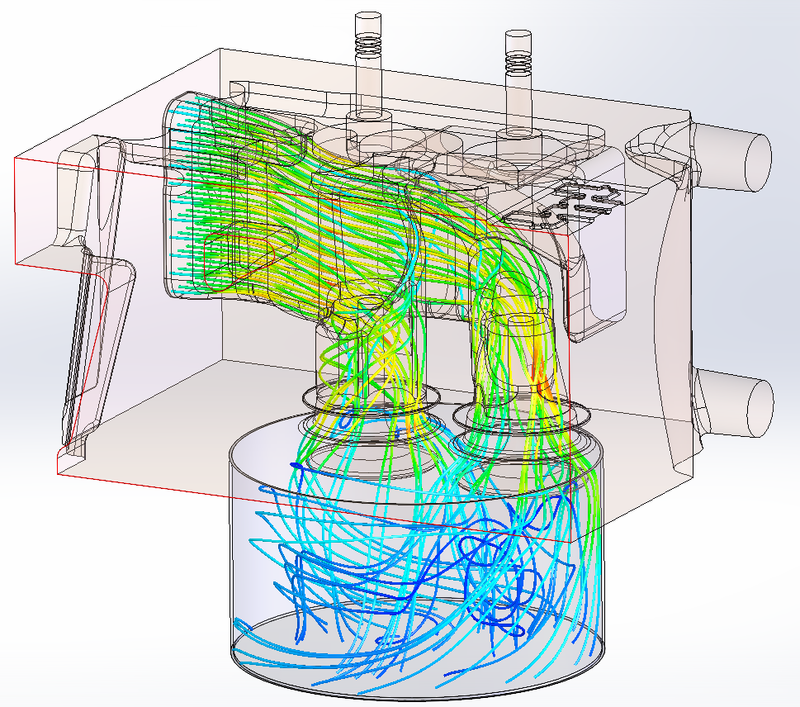 For this purpose, we use state-of-the-art simulation tools such as CFD or FEM. New products are extensively tested on our test benches. The mechanical, electrical, thermal and thermodynamic properties of our units are measured and optimized for later use. On our test benches, mains parallel operation as well as isolated operation can be tested. One test cell is equipped for the simulation of network failures including even Low Voltage Ride Throughs (LVRT).